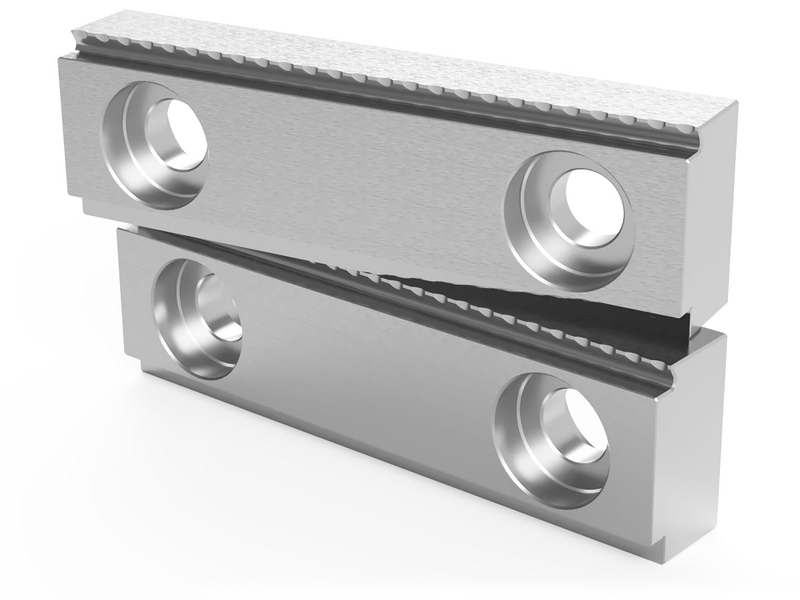 These hardened steel jaws come standard with the RotoVise. The multi-sided faces feature a .100" step jaw, a .100" serrated jaw and a smooth face. They measure 3" wide, .875" tall and .500" thick. 2 individual jaws per box.